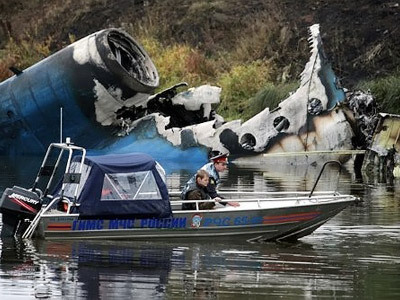 Reports that an engaged hand brake could have caused the plane carrying Russian hockey team Lokomotiv to crash have no evidentiary support, according to both aviation officials and experts. Officials from the Transportation Ministry and the Russian Aviation Agency have dismissed media reports that pilots of the ill-fated Yak-42 that crashed outside Yaroslavl could have tried to take off with the parking brake still engaged. Investigators looking into the crash have lent support to this statement, saying that no tire tread marks have been found on the runway – and they would have been there had the brake been engaged. Neradko’s statement was also supported by the former CEO of the national carrier, Aeroflot, who now serves as deputy transportation minister. Valery Okulov told journalists that many of the possible causes of the crash reported in the media are simply inapplicable to this tragedy. Earlier, a Russian daily, quoting its own sources, reported that pilots may have forgotten to disengage the parking brake before attempting to take off. 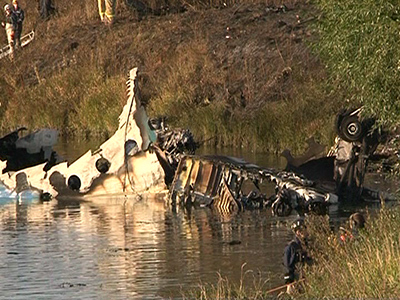 The Interstate Aviation Committee is still extracting information from the flight recorders recovered at the crash site. According to members of the investigating team, the recorders – and the material on them – are in very good condition, and the case is expected to be closed soon. 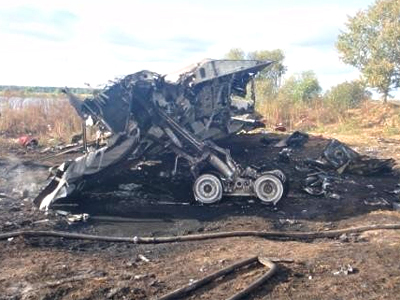 Many possible causes of the crash have already been ruled out – such as poor fuel quality and engine failure. The two main theories still being considered are human error and technical malfunction. 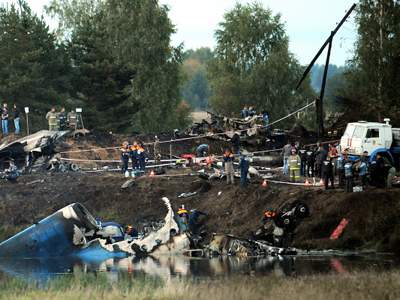 The Yakovlev Yak-42 airliner crashed on the banks of the Volga River on September 7, taking the lives of 44 people. One survivor remains in the hospital, with doctors fighting for his life.